The Jumalon Butterfly Sanctuary is one of the most popular tourist spots to be visited in the paradisiacal island of Cebu. Regardless of age, the Sanctuary is a great place for the whole family to enjoy a fun outing. This unique and amazing butterfly haven is actually home to a nature reserve where the butterflies dwell, a museum and an art gallery. Crowds of tourists as well as locals stream into the Sanctuary each day to catch sight of these colourful creatures. Founded by a passionate artist by the name of Julian Jumalon in 1974, the Jumalon Butterfly Sanctuary provides a unique home to the butterflies as they are not contained within an enclosure, but are able to fly freely in the area. Comprising of approximately 50 different types of rare and exotic butterflies, on any given day, the average visitor is sure to spot at least 10 to 15 of these butterfly types. In the park area, there are also over 100 different types of plant species that serve as food for the butterflies, making it a nature lovers’ paradise. When visiting the Jumalon Butterfly Sanctuary, don’t forget to stop in at the onsite art gallery and museum. At the art gallery, visitors are able to see elaborate works of paintings and mosaic art done by Julian Jumalon, of which some incorporate butterfly wings. The Sanctuary’s museum serves as a comprehensive source of education to visitors about different butterfly species and is frequented by many students doing thesis. Tourists holidaying in Cebu should definitely visit the Jumalon Butterfly Sanctuary as it is the only butterfly sanctuary in Cebu and is one of the most popular tourist destinations in the island. Travellers looking for a luxurious hotel to stay while in the tranquil oasis of the island should look no further than Shangri La’s Mactan Resort and Spa, Cebu. This hotel provides elegant and contemporary accommodation in a paradise like setting. Cebu is one of the most beautiful tropical islands in Far-East Asia. The island has undulating fields, attractive coastlines, tropical greens and yet the modernism in the cities of this island can be compared to some of the most posh cities of the world. It is this factor which makes Cebu a much favored holiday destination. You will find that the locals are very friendly and simple people, they will extend all help they can to make your stay on the island a very pleasant one. The provincial government in Cebu is trying very aggressively, to make Cebu one of the most coveted holiday destinations of the world. While in Cebu, do indulge in some sightseeing, Cebu has several tourist attractions. Jumalon Butterfly Sanctuary, Cebu is a must visit for all the tourists who come to the island.Private passions can create something for posterity, something so unique that one cannot but respect that very force of passion that created it. 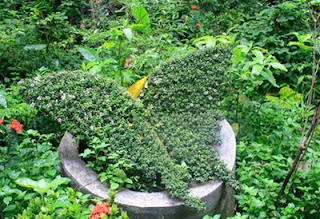 Jumalon Butterfly Sanctuary, Cebu is the result of one such passion of artist Julian Jumalon. It came into existence in 1974. 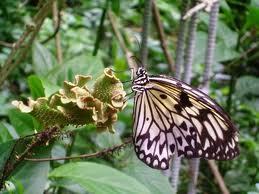 The enclosure has at least 53 kinds of butterflies including the beautiful Daedalus. You will be able to spot at least 10 or 15 on any given day. You will be able to see nearly 100 kinds of butterfly plants and for students of biology, the complete life history and other scientific details of the butterflies are available. You definitely put a fresh spin on a topic that's been written about for ages. Wonderful stuff, just excellent!